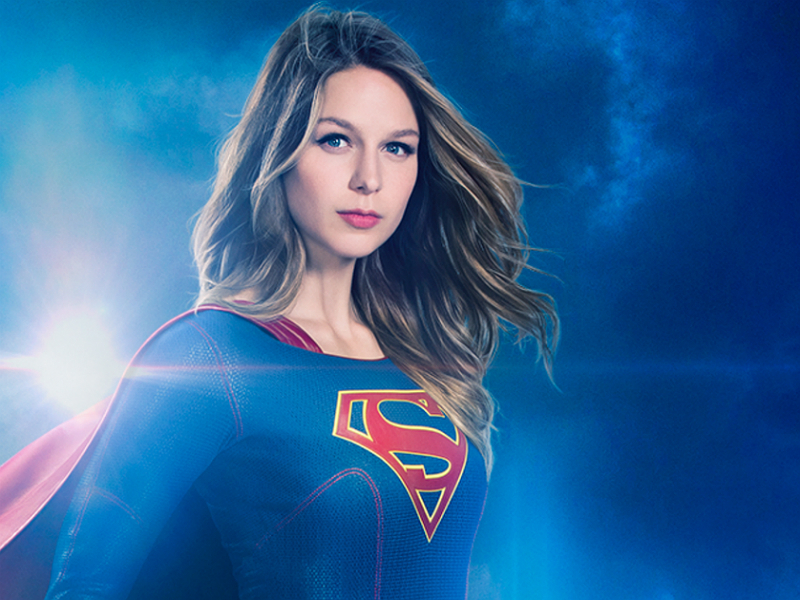 After last week’s debuts for Arrow and The Flash, this week starts The CW’s week-long DC Comics line-up with the premieres of Supergirl (moving over from CBS) and Legends of Tomorrow. 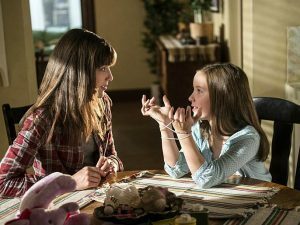 This season the expanding universe will occupy the 8/7c time slot on Monday, Tuesday, Wednesday, and Thursday — building up to a 4-night crossover event after Thanksgiving that should prove to be epic. 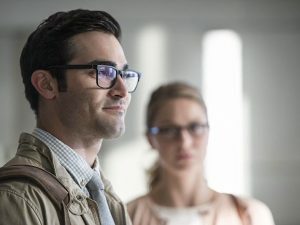 The second season premiere of Supergirl tonight will also introduce none other than the show’s Superman, played by guest star Tyler Hoechlin (Teen Wolf). And we’ll also finally learn who (or what) is inside the Kryptonian pod that crash-landed at the end of Season One. Also this week: The Legends must protect Albert Einstein from the Nazis, while Bruce and Alfred search for Bruce’s dangerous doppelganger on Gotham. 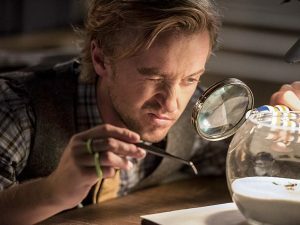 The Flash introduces Harry Potter‘s Tom Felton as Julian Albert, a new forensic scientist who doesn’t care much for Barry; and on The CW’s new drama Frequency Raimy and Frank work across time to find a way to save her mother. 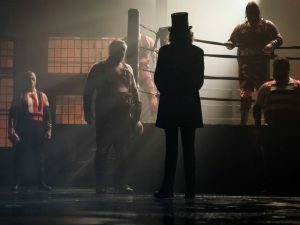 “New Day Rising.” Penguin gains power as he narrows in on the nomination for Mayor of Gotham. Meanwhile, Gordon turns Alice into the GCPD for the bounty. Also, Bruce and Alfred race to find Bruce’s doppleganger after learning he’s assumed Bruce’s identity. 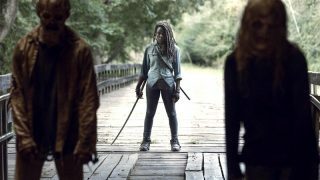 The CW, 8/7c – SEASON PREMIERE! “The Adventures of Supergirl.” When a new threat emerges in National City, Kara / Supergirl teams up with her cousin, Clark Kent / Superman, to stop it. Kara is thrilled to have family in town but it leaves Alex feeling a bit left out. Meanwhile, Hank and Supergirl are stunned by the pod that came crashing to Earth. “Paradox.” Barry realizes the effects from Flashpoint are much greater than he thought. Meanwhile, Barry meets new co-worker Julian Albert and is surprised by Julian’s immediate disdain for Barry. “Uprising.” As Coulson, Mack and Fitz attempt to track down and neutralize a rogue group looking to end Inhuman Registration worldwide, Simmons and Dr. Radcliffe only have hours to save May before she succumbs forever to her mysterious illness. “The Recruits.” Oliver’s new recruits for Team Arrow are Curtis, Wild Dog and Evelyn Sharp. Unfortunately, the Green Arrow’s training methods prove to be too much for some of them to handle. 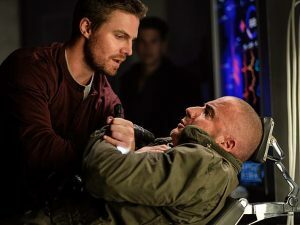 Meanwhile, in the flashbacks, Oliver’s initiation into the Bratva continues. 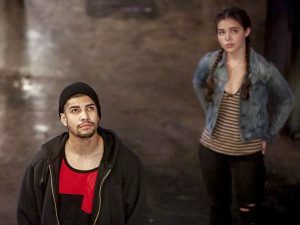 “Signal and Noise.” When Raimy and Frank speak over the ham-radio and she lets him know that her mom will be murdered unless Frank can figure out a way to warn her, she also delivers devastating news regarding Stan Moreno. Meanwhile, in 2016, Raimy follows a lead in the Nightingale case, and in 1996, Frank and Satch work together to follow the same lead. “Out of Time.” After making a shocking discovery, historian Nate Heywood seeks out Oliver Queen for help in finding the scattered Legends. Once reunited, the Legends continue their new mission to protect the timeline from temporal aberrations — unusual changes to history that spawn potentially catastrophic consequences. Their first stop is 1942 to protect Albert Einstein from being kidnapped before the Nazis destroy New York City with a nuclear bomb. “Strange Case.” The Evil Queen and Hyde continue on their quest to steal Dr. Jekyll’s serum; Snow looks forward to her first day back as a school teacher; and while Emma looks forward to Hook moving in with her, Hook finds himself trying to protect Belle from Mr. Gold, who has made sure she can’t leave the confines of the pirate ship. “The Stray.” Elsie and Stubbs head into the hills in pursuit of a missing host. Teddy gets a new backstory, which sets him off in pursuit of a new villain, leaving Dolores alone in Sweetwater. 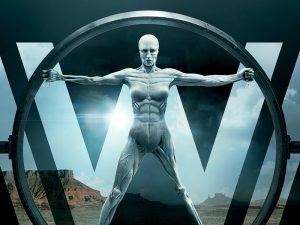 Bernard investigates the origins of madness and hallucinations within the hosts. William finds an attraction he’d like to pursue and drags Logan along for the ride.